Really looking forward to continuing the tour, which has been going fantastically so far. I'm just about to drive from London to Leeds and I'm particularly excited about the launch gig at Pizza Express Jazz Club, Soho on Wednesday! I'm extremely happy that my debut album under my own name, Unnatural Events with my band Tom Millar Quartet, has been sent to the factory, both as CD and Vinyl record. You can preorder from the link above (Listen/Buy). Special thanks to Catia Lanfranchi (catialanfranchi.com) for the beautiful cover artwork! The album launch gig is on September 20th at Pizza Express Jazz Club, Soho, London and we are touring the UK and later, Europe. I'm looking forward to my first London gig this year, the launch of drummer and composer Ollie Howell's second album, Self-Identity, which will be on Friday, April 7th at Rich Mix. I'm taking the place of Matt Robinson, who recorded the album. I played this music for six out of the twelve weeks of Ollie's residency in Dubai and Quincy Jones' Q's Bar at the Palazzo Versace, between November '16 and January '17. I'm also really happy to be catching up with the other band members: Henry Spencer, Ant Law, Max Luthert and Duncan Eagles. I'm delighted to announce that my debut album, Unnatural Events, will be appearing on Spark! Label in September 2017. I recorded it with my quartet at Giant Wafer studio in Wales, with singer Alice Zawadzki guesting on two tracks. I'm currently spending a lot of time booking the release tour and have commissioned an artist to make the artwork and posters, as well as booking in the pressing (CD and vinyl!) You can listen to the first track above (scroll up to 'Listen') or here on Soundcloud. On Friday I'm playing at the Jazzwerkstatt Bern, on the occasion of the festival's ten-year anniversary, with a brand-new project: Lisa Hoppe's Ambush. Lisa is a fantastic bass player and composer and we're playing a concert of her music, especially written for the occasion. The band is made up of Lisa (Germany) on bass, myself on piano, Phelan Burgoyne (also from England) on drums, Yumi Ito (Switzerland/Poland/Japan) vocals and Yehonathan Cohen (Israel/USA) on sax. 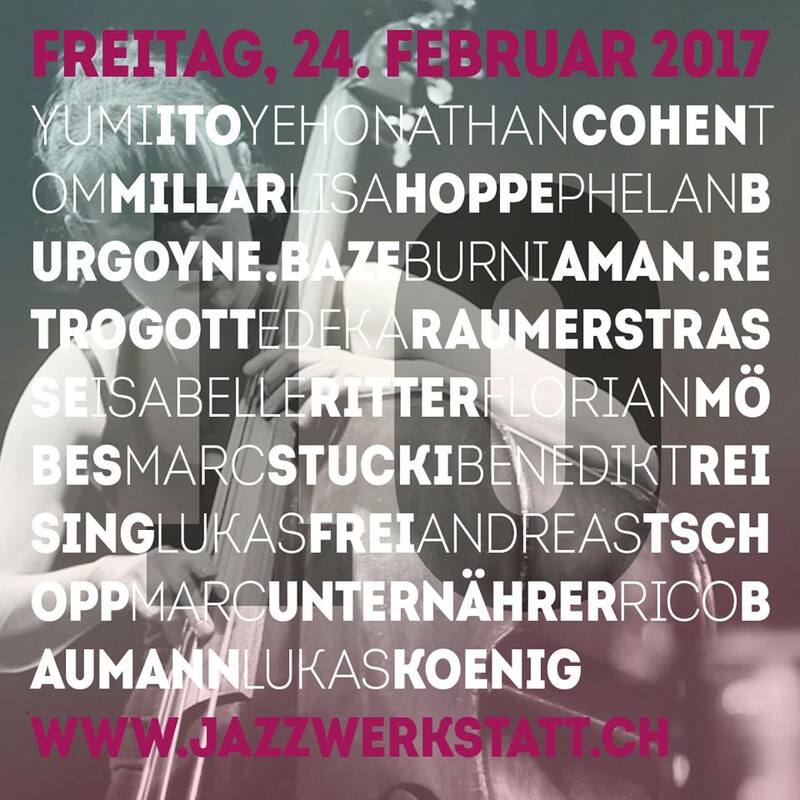 Click on jazzwerkstatt.ch for more info! This month I'm spending a lot of time in one of the most beautiful Swiss cities, Lucerne, playing a solo piano gig most nights, in the bar of the Hotel Schweizerhof. I had already been here before, almost a year ago, rehearsing for the Philipp Fankhauser/Margie Evans Unplugged Tour. There's a lovely Yamaha grand piano and the surroundings are quite inspiring - Richard Wagner finished composing Tristan and Isolde here in 1859. The food's pretty great too! I'm also really looking forward to playing at the Jazzwerkstatt in Bern with Lisa Hoppe's Ambush, on which more later. I arrived back in Europe a week ago, after a very enjoyable six weeks over Christmas, playing in Dubai with Ollie Howell's quartet at Quincy Jones' first ever jazz club: Q's bar at the Palazzo Versace, including two launch nights in front of the man himself, as part of a double bill with phenomenal Swedish band Dirty Loops. I now have a new website to keep you informed about upcoming projects for 2017 and beyond. Tom Millar is a London-based jazz pianist, composer and bandleader. Since his quartet’s debut album release, Unnatural Events, in 2017, he has taken the band on a 20-date UK tour, and received extensive radio play including BBC Radio 3, Jazz FM and London Jazz Radio. He was made a City Music Foundation Artist in 2018, which will support the band’s second album recording in 2019. Previous awards include an ‘Emerging Excellence’ Award from Help Musicians UK, the Jazz Services Recording Support Scheme, Arts Council England funding for the album tour, and a successful Kickstarter campaign. In 2018 he appeared on Swiss national radio, and toured Denmark, Switzerland and the UK with guitarist Dimitri Howald. Venues where he has performed include the Wigmore Hall, Pizza Express Jazz Club, Vortex, 606 Club, the London Jazz Festival, Jazzwerkstatt Festival Berne, KKL Lucerne, and Paul Klee Centre, Berne. He toured England and Wales with the Lyric Ensemble, performing the music of Michael Garrick; with Ollie Howell’s quintet; with Duncan Eagles’ quartet; and has recorded albums with Dimitri Howald’s Ilja, the Tom Smith Septet and Andrew Linham Big Band. Further afield, he has played in the USA, Europe and Qatar, including a nationwide tour with Swiss blues star Philipp Fankhauser and venerable singer Margie Evans from Shreveport, Louisiana. He played for the opening residency in Quincy Jones’ first ever jazz club, Q’s bar, at the Palazzo Versace, Dubai, during the winter of 2016/17. Tom previously ran the monthly jam session and gig at the Green Note, Camden, as well as playing a monthly duo concert there with some of his favourite singers. He is also a member of Way Out West musicians’ collective, for which he has created various different projects including a sextet with Gareth Lockrane, Duncan Eagles, Stefanos Tsourelis, Dave Storey and Dave Jones, and a nonet playing his compositions and arrangements with Jim Hart, Tim Whitehead, Tony Woods and Laura Jurd, among others. 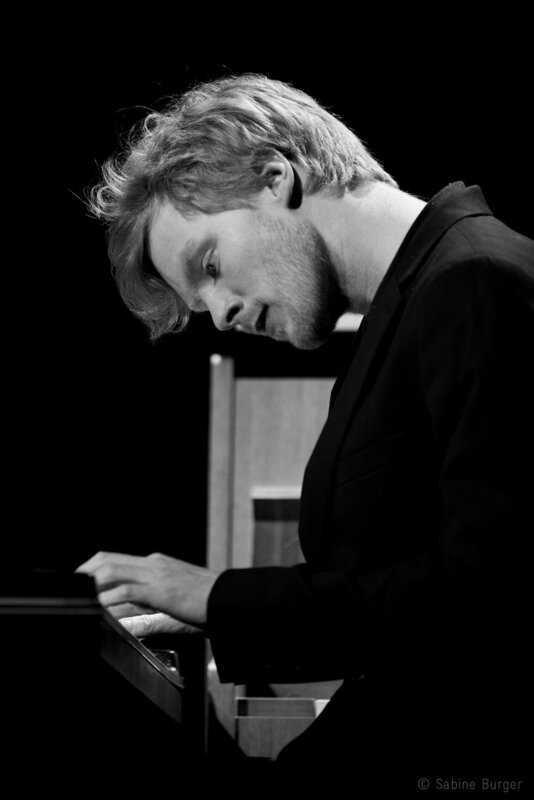 After reading Music at King’s College, Cambridge, Tom studied Jazz Piano and Composition for a Masters at the Royal Academy of Music, London, and later with Django Bates in Berne, Switzerland. Please add yourself to my mailing list below.